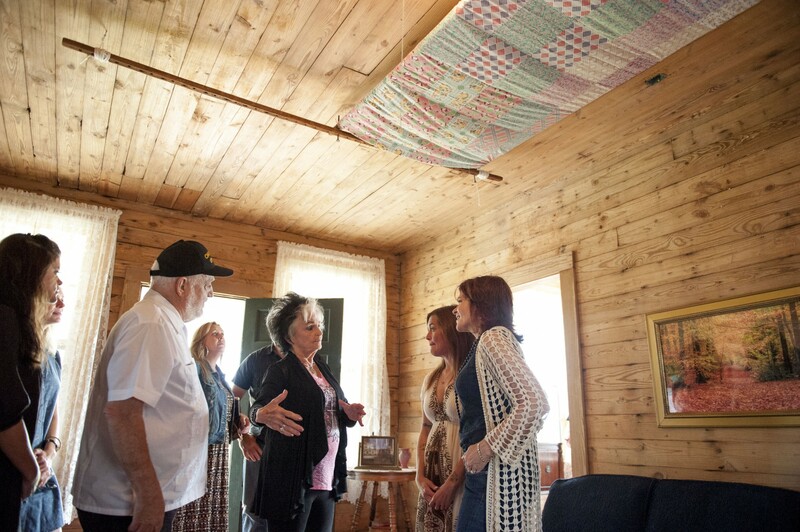 Joanne Cash Yates, sister of Johnny Cash, describes growing up on the Dyess Colony to visitors. Image courtesy of Heritage Sites at Arkansas State University. At the height of the Great Depression, nearly 500 families lived in the Dyess Colony, which was created in 1934 to help destitute farmers get back on their feet. It is now more famous as the childhood home of Johnny Cash, who moved to Dyess with his family in 1935. In partnership with the City of Dyess and an NEH challenge grant that helped raise an additional $1.5 million, Arkansas State University set out to save the colony’s historic buildings in 2011. 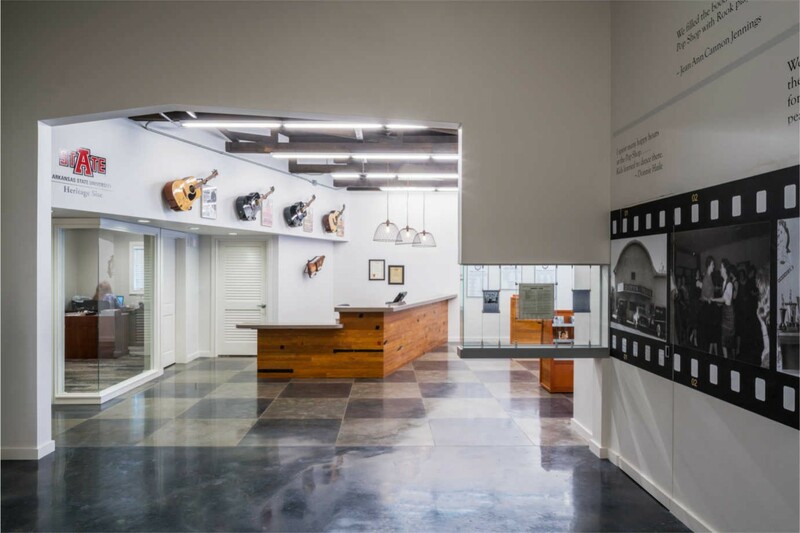 The Federal Administration Building now houses a museum that connects visitors with the history of the New Deal and the Depression, while the Cash homestead has been meticulously restored. Since it opened in 2014, Historic Dyess Colony has attracted visitors from every state and 48 foreign countries to the 415-person town. 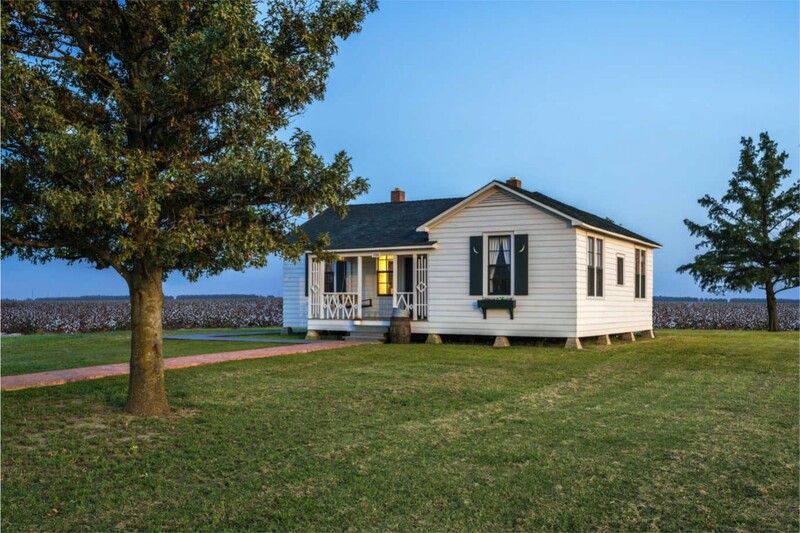 The Cash homestead, restored with funding from the National Endowment for the Humanities, has brought visitors from every state and 48 foreign countries to the rural town of Dyess, Arkansas. Image courtesy of Heritage Sites at Arkansas State University. Though most people visit Dyess to learn more about Cash, they linger over the museum and homestead, fascinated by the story it tells about a difficult and relatively understudied period of American history. In October 2017, Dyess made the most of Cash’s connection to this place and period through the Johnny Cash Heritage Festival, a weekend-long celebration that combined music performances with humanities programming on the history of rock and roll, the New Deal Federal Writers Project, and the history of religion in the Mississippi Delta, among other topics. The Federal Administration Building, once the center of the Dyess Colony, now houses a museum connecting visitors with the history of the New Deal. It was restored with funding from the National Endowment for the Humanities. Image courtesy of Heritage Sites at Arkansas State University.